There are some who’d say that tech geeks are the hardest people to shop for. Those who say that probably prefer clearing off their shopping list at Bath & Body Works, Yankee Candle, or any other major retailer of nice gifts that require no personal thought. And without question, your gift is sure to be appreciated a little bit. But if you want to give an awesome gift to a blogger or internet marketer, put some thought into it. If you don’t mind spending a decent amount of cash, then a tablet is the best gift ever for any blogger or internet marketer… providing they don’t already own one of course. Now there’s a wide range of prices to choose from, but the biggest deciding factor should be brand and or operating system. The three major choices here are the ipad, the kindle (check out the hot and new Kindle Fire HDX) or basically any Android based tablet… such as the Nexus. But this is a very serious gift to give, and should not be done without consulting the recipient to determine preferences regarding size, programs, and other important features. In other words… great gift to give but not as a surprise! Credit for stock photos! Pictures really jazz up any blog post or marketing campaign, so credits on a stock photo site (such as iStockphoto or Shutterstock) is sure to be well received. Make sure you check out for coupon codes before buying, you’ll get more for your money! You can set up an account, buy the credits and give the login to the recipient. He’ll then have access to free quality stock photos! Graphic Design Services! Again, this could be the equivalent of giving a paid day off. Better yet, it could help with a new logo, branding makeover, or even a simple ad that will ultimately bring in more business. However its’ used, don’t expect to get anything worthwhile from a quality graphic designer for dirt cheap. It’s a no brainer- text recognition software increases productivity by 50% or more, by reducing the need to type. 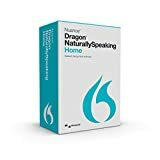 Dragon Naturally Speaking is a nice choice. When you work on the computer for a long period of time, your back may start to hurt. If you are a blogger or internet marketer, you work on the computer for loooooooong periods of time. A top of the line, executive chair provides extra comfort and works proactively to keep those pesky back problems at a minimum. 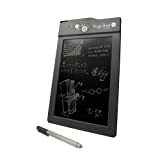 This LCD tablet offers an environmentally friendly, mess free way to jot down notes or doodle during meetings. The perfect solution for a techie with a cluttered desk! We recommend the large boogie board because it is rechargeable and can store multiple “pages” which can be uploaded to a computer via USB. For a cheaper alternative, you can get a much simpler Boogie Board. It doesn’t save any notes so once you erase the screen, it’s gone. Forever. It lasts for approximately 50,000 erases, and is in a variety of fun colors. Possibly the most inexpensive gift you can give that will be greatly appreciated by the blogger or internet marketer in your life: more notebooks to preserve brilliance, and pens to do it with. However… it is imperative you choose quality pens. Think Bic, Pilot, or Sharpie. Ask if there’s a preference… most creative individuals are rightfully particular about their writing utensils! I do hope we’ve help you out in choosing some gifts for bloggers!